In my fifth video lesson in the Language Notes series, I plan to address meals and mealtimes. I’ve found that this topic has vocabulary that is easy to translate but tricky to understand in full. On the one hand, the definitions are clear because there are direct translations in other languages for breakfast, lunch, and dinner. However, as I explain in my video, there are differences from family to family and culture to culture in how we experience these meals. What exactly would you offer to an overnight guest at breakfast time? What kinds of items are there on the lunch menu at a U.S. restaurant? If one gets invited to dinner, will everyone have the same expectations in terms of time, foods, and table setting? To initiate this discussion with your students, I suggest finding out what language and concepts they are already familiar with by using my Language Notes_5_classroom slides. Both basic and advanced students can respond to the five questions. (basic) Students can explain how to set a table. They can draw, work with paper cutouts, or use disposable utensils and plates. Have them incorporate sequence words and prepositions of place. 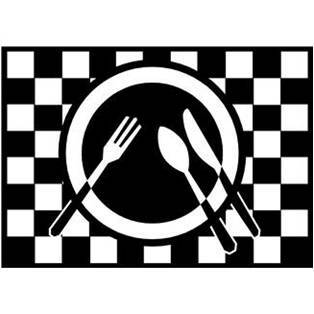 (all levels) Students can discuss typical meals and mealtimes in their families. Basic students can incorporate adverbs of frequency. Advanced students can make use of more advanced time expressions (from time to time, on occasion, once and a while, almost all the time, pretty much every day). Another fun idea that integrates reading, speaking, and listening is to learn a decorative napkin fold and explain it to others. In small groups, each student can learn a different fold and then teach the others. Be sure to bring in enough paper or cloth napkins for this activity. Home Made Simple outlines three ways to fold a napkin. To review independently, please invite students to try my crossword puzzle that tests their vocabulary on this topic. See my page of interactive exercises.